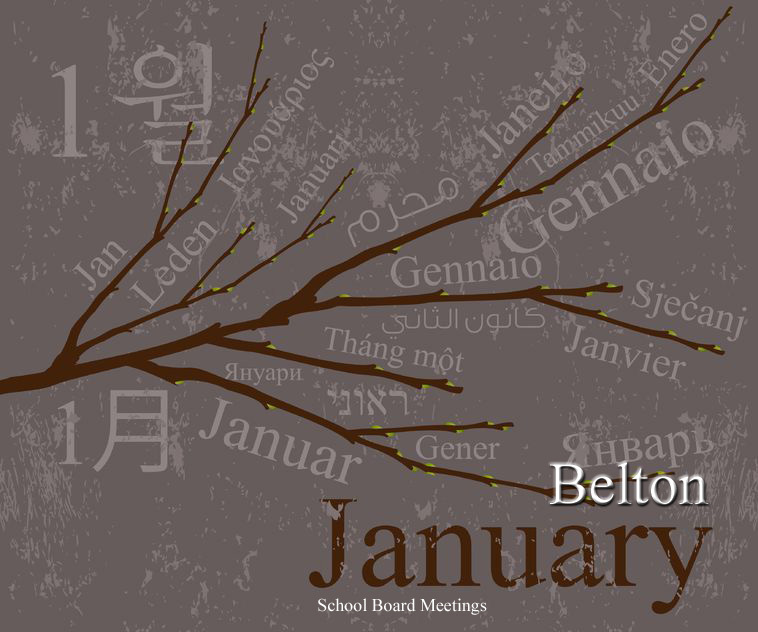 The Belton School District’s Board of Education will meet Thursday, Jan. 12, at 7 p.m. In addition to routine items on the agenda, such as approving the minutes of last meeting and paying bills, the board will hear a report from Superintendent Andrew Underwood. A highlight of his presentation will be a school bond proposal. Also, members will hear an update on filing for vacant seats on the board. The filing deadline is Tuesday, Jan. 17, and the vote will take place for the April election. The board meeting, which is open to the public, will take place in the Walnut Building; 110 W. Walnut; Belton, MO 64012.